As a registered charity we are not supposed to make money and we certainly don't. ultrasounds, expensive surgeries and/or medication which increases the cost significantly. would end up dead in most cases. making money here we are just struggling to stay afloat another year. 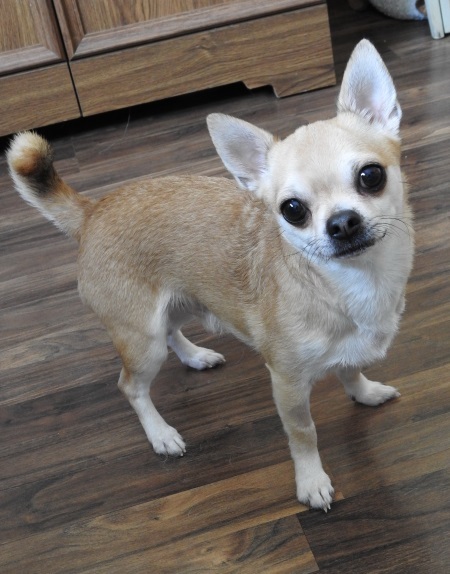 Lonie is a three year old Chihuahua, weighing about 9 pounds (4 kg). He is neutered, pee-pad trained, and his shots are UTD. Lonie is looking for a forever home due to the death of his owner. Lonie can be wary of strangers and will need a bit of time to adjust to a new home and new family. Lonie is a real cuddle bug with me, but prefers to jump up on my lap on his own. (For some reason he doesn’t like to be picked up). He loves to play and will chase a toy and bring it back for it to be thrown again and again. Lonie lives with 3 other dogs. He is fine with my female dogs, but can be feisty and bossy with my male foster dog. This little sweetheart would be quite happy to be the only pampered dog in the family, but would be fine with an easy going small female dog companion. Any children should be 13 or older and dog-savvy. Cats are an unknown. 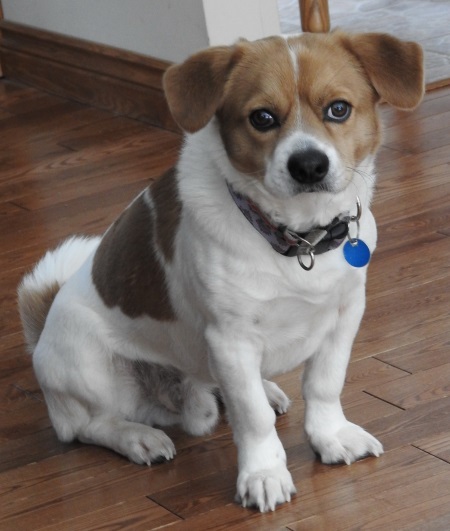 Patches is a 35 pound, five year old mixed breed (possibly a Jack Russell mix) rescued from the dog meat trade in China. He is housetrained, neutered and his vaccinations are up to date. He loves a crate for it’s feeling of security, but does not need one. In his previous (before-rescue) life, Patches endured terrible treatment at the hands of humans. This translates to a particular distrust of men, and a fear of new situations. 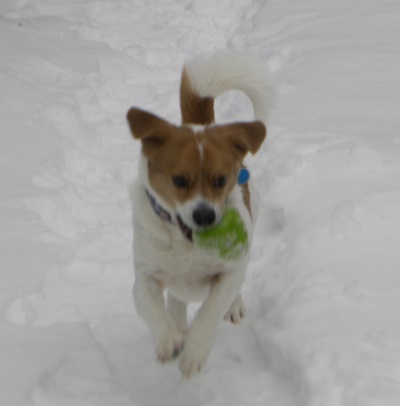 In a comfortable and safe environment, Patches is a funny, playful, well behaved boy. He is great with my resident dogs as well as with an assortment of other foster dogs (big and small). He is very enthusiastic about his leashed walks and has excellent recall to my voice and to my whistle. He really likes his squeaky toys, and will pile them up on the sofa. Patches is still not overly comfortable with the human touch. He will snuggle up to me for a nap but is still fearful of my hands. He also has a tendency to bark at strange noises and will initially bark, and then hide, when other people come into the house. This sweet boy will need an understanding, compassionate and patient owner. Another dog in the family would be ideal. A securely fenced yard is required. Any children must be older than 13 and be very dog savvy. up to date with vaccinations and weighs approximately 50 lbs. Zelda loves to go for walks and is progressing in her leash training. very well with the resident big dog, but is not recommended with cats. children, so any children in the adopting family must be 15 or over. A secure fenced yard is also required. 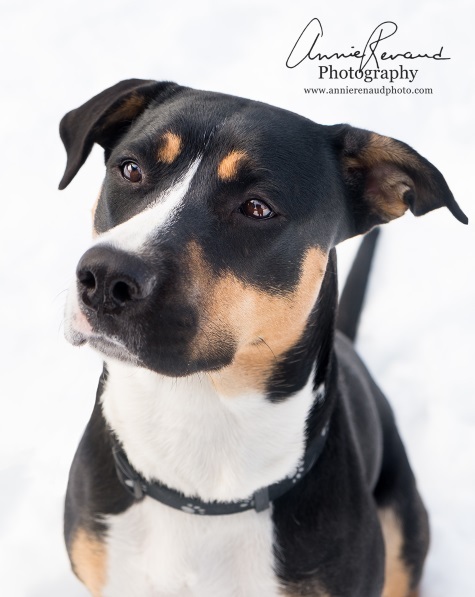 and lots of exercise this sweetheart will make the right family very happy. listed by their ownrts because they have special needs. list - we may know where to find the one that you've been hoping for.